Downbeat is the magazine for everything you ever wanted to know about blues and jazz and how they influenced so many categories of western popular music. 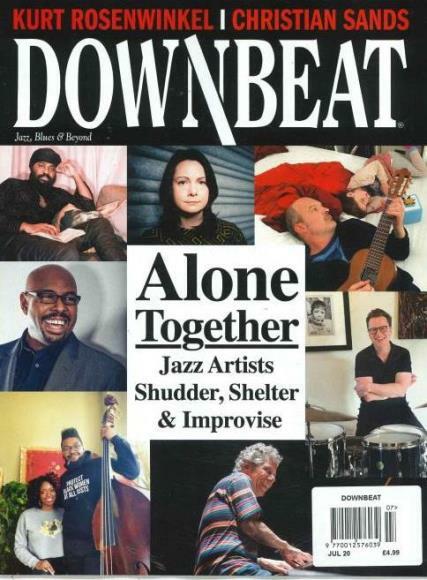 Buy a single copy or subscription to Downbeat magazine. Rock, country and folk rock owe their origins to blues and jazz. This magazine is considered to be the best in their kind and caters to a wide legion of readers. The readership is in millions and is a household name all across the planet. This magazine is known for its intricate display of knowledge and accurate information which comes to the rescue of millions of music lovers across the world. The Downbeat magazine is a magazine dedicated to the music genre of Jazz and the Blues. All you diehard fans of Eric Clapton and B.B. King, brace yourselves for the explosion of music extravaganza. The information provided in the magazines is well research and will definitely satiate the hungry music fan inside you. The magazine is known for tracing the history of the blues music, it is after all considered as the progenitor of a legion of contemporary music genres. The country style music was the first to diverge out form the blues style of music, and then came along the rock music and eventually the many forms of blues.